You wouldn’t know it from living in Chicago, but apparently the MLB Post Season has started. Were you guys aware of this? I heard tale of a “Wield Curd Game?” I may not be pronouncing that right. The story goes two teams play a game of Chardee MacDennis to see who gets to play in the real playoffs. I think the team with the least amount of fans wins, so the Tampa Bay Rays moved on while the Cleveland Indians were left to find a replacement for Roger Dorn. I doubt I’ll have the motivation to continue my ongoing series for all the eliminated playoff teams (for instance, I have no interest in putting together a Reds post), but I can at least knock another off my list. By the time I’m done, it’ll likely be 2015 and the Cubs may even make it to the Wyld Stallions game. Station. 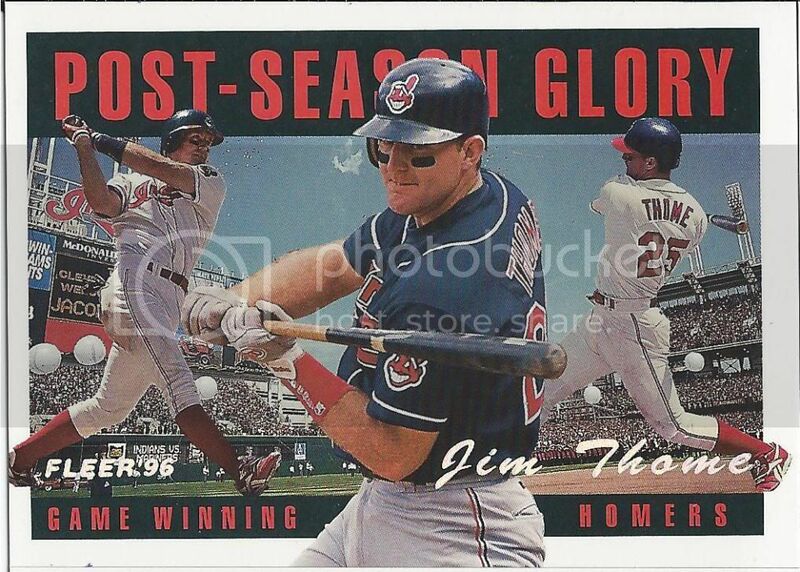 Jim Thome is my pick from the Tribe, and it’s an easy one to boot. First off, he is an incredibly underrated and understated power hitter. Even though he hit 600 home runs (presumably the right way) in his career, placing him 7th on the all-time list, just about nobody talks about him. Such a quiet, go-about-your-business career deserves some more praise and attention. The guy should be a hall of famer, but because there was a small amount of media attention throughout his years on the field, I bet the count will be lower than it should be. Thome also has a Chicago connection thanks to his 4 years as a member of the White Sox. The 2013 Indians roster isn’t very inspiring to me. I rarely watch AL games, so I don’t know much about the team, so this is really an eenie-meenie-miney-moe situation. Looks like Santana was the bubblegum in a dish this time. Kenny was not a random selection. I always admired Lofton. I like the guys with speed. I like guys that work hard. I like guys with multi-sport talent (he was a starter for his college basketball team, too). 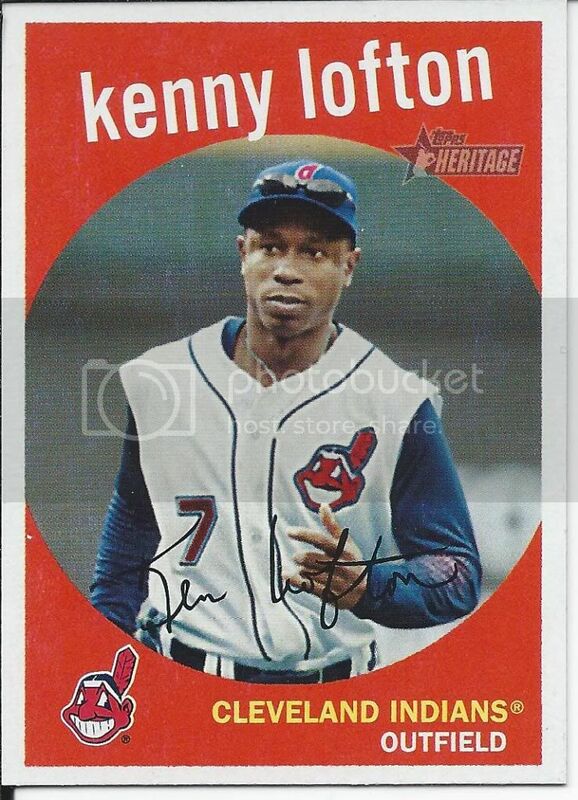 Kenny isn’t going to make it into the Hall of Fame. That’s already been decided since he didn’t get enough votes to stay on the 2014 ballot, but he had an extremely admirable career (including a short stint with the Cubs), and he sits at 15th on the all-time stolen base leader board. Wow… I can’t believe I had so much trouble picking a player. I kept going back to Rick Vaughn from Major League. Thome is a great choice. So is Lofton. 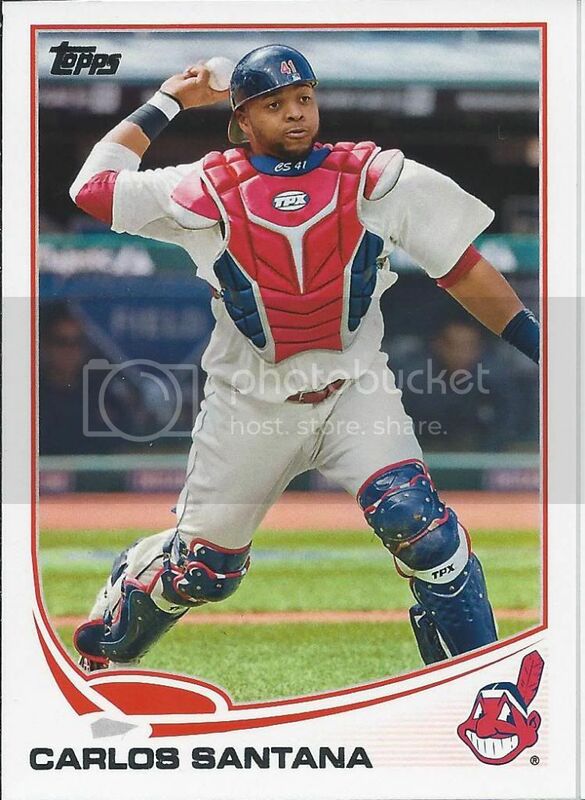 I’d probably go with Larry Doby… but not sure if that’s legal or not since he played well before I was born. Ha. It’s all legal in the hypothetical world. My pretend collections will revolve mostly around players I’ve seen or grew up with, but you can’t deny the greatness of a Larry Doby. You might be a king or a lowly street sweeper, but sooner or later you dance with the reaper….